Qingdao University, a key provincial research facility located in Qingdao, aims to become a propeller of regional economic development. The university's first scientific and technological achievement transformation demonstration base was unveiled in Qingdao's Chengyang district on April 26. Covering an area of 156,000 square meters and a construction area of 125,000 sq m, the base will be jointly built by the Chengyang district government, Qingdao University, and a local enterprise. 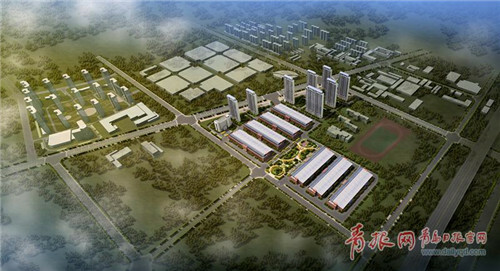 It will include sports factories, shared laboratories, talent apartments and other sections. Qingdao University will introduce future research institutes and scientific and technological achievement transformation projects to create high-tech and strategic emerging industrial demonstration parks based on smart manufacturing, new energy, new materials, and health care. The university's Future Research Institute was inaugurated as well with the intention of its becoming an international first-class academy of sciences. The institute will focus on integrating production, study and research in robots and intelligent manufacturing and unmanned system technologies to establish a truly intelligent future world. The close collaboration between Qingdao University and Chengyang district will help to speed up the transformation of old economic drivers into new ones, and push forward development of the regional economy and society.